Office Location: Birmingham, UK. Employees can also work full time from this office. As a Node.js engineer, and general cloud-based web practitioner, you know there's no such thing as "it works on my machine"
Work on the software that powers the Click Travel platform by writing Node.js code and tests. Continuously improve your engineering skills and practises. Evangelise and spread your DevOps and Cloud Engineering mentality to your colleagues. Look out for ways to improve our development processes. You're part of an agile, multidisciplinary team. You bring your unique skills and leverage them when collaborating with others to accomplish goals. You prioritise your work with the team, its lead and product owner, weighing both the business and technical value of each task. You use data available to determine the best approach. You constantly ensure code is running in production as early as is responsibly possible. You don’t do things just because they were always done that way. You don’t ignore the lessons learned, however - even those learned by others. You're smart, and can find ways to show us. You know and understand the challenges of distributed cloud systems. You can work with Node.js, or other AWS serverless friendly technologies such as Lambda and DynamoDB. You want to work with services that span from user-facing services, to the foundations that run them. You have expertise interacting with datastores. You find ways to communicate as part of your team. You are an agile engineer. We are proud to have a working environment that sets our employees up for success. Be heard - Everyone has the opportunity to go out for lunch with the senior leadership team of the company to chat about things and learn about our vision and future. Give back 1% time - Every employee is encouraged to donate 1% of their working time to the community. Enjoy the ride - From Summer and Christmas parties to themed office days and online games, we ensure that your hard work is balanced out with a bit of fun. Share the perks - Access to substantially discounted hotel rates, air and train tickets. Perfect pick-me-ups - Free snacks and drinks in the office every day. That’s just a sneak peak, you can find out about the full list of benefits we offer on our website. Birthday Off - an additional days annual leave so you can celebrate! Travel discounts - 45% of rail, plus discounts on hotels & flights! 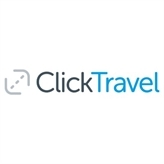 Want to get notified about new jobs at Click Travel Ltd?